Estates at Settlers Creek is a newer Keystone Real Estate subdivision where you can find luxury Keystone Colorado homes for sale. Located less than 2 miles to the Keystone Ski Resort, Estates at Settlers Creek is the place to build your mountain home. There are a total of 26 lots in the subdivision, 14 vacant lots and 9 lots with homes already built. 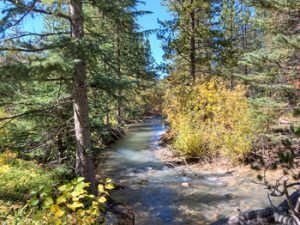 Some of the lots in Estates at Settlers Creek are located along the Snake River which is hard to find in Summit County. Of the 14 vacant lots there are only three vacant parcels of land with river frontage in Estates at Settlers Creek in Keystone CO.
A benefit of owning in Estates at Settlers Creek in Keystone CO Real Estate besides being so close to the Keystone Ski Resort yet tucked away in seclusion along the Snake River is the use of Minnie’s Cabin at Settlers Creek Townhomes. Not many luxury homes for sale in Keystone CO offer use of a year round pool, hot tubs and a clubhouse. Looking to build or purchase a luxury Keystone Colorado home take a look at Estates at Settlers Creek, you won’t be disappointed.